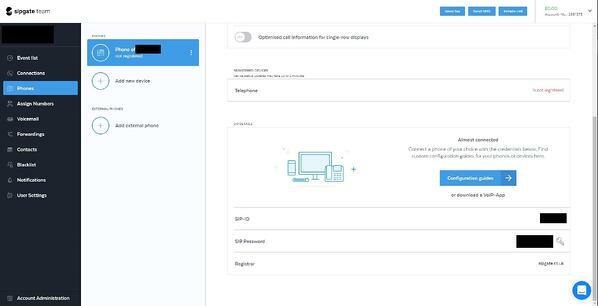 Start by creating an account with sipgate by selecting the link: https://www.sipgatebasic.co.uk/. Sipgate provides a variety of packaged plans with "sipgate team" matching the needs for most businesses. Note: If you are setting up for single devices, "sipgate residential" may be a better fit. When using Bria Teams, you will be able to access your phone numbers on all your devices. In sipgate’s main console, navigate to “Phones”. Here, add all your users by selecting “Add new device”. Click into “Assign Numbers”. 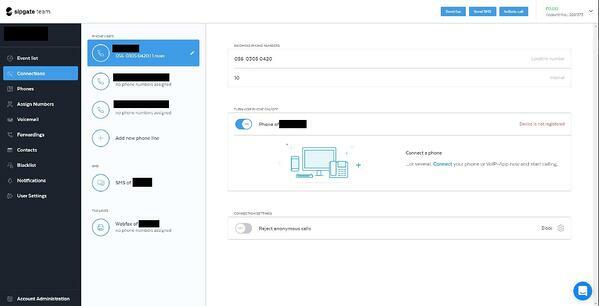 Here, you will be able to acquire phone numbers and match them to the users (“devices”). To enable extension lines, assign the users the same phone number. In addition to this, create and assign an extension number. Sign up with Bria Teams at https://teams.softphone.com/signup/. 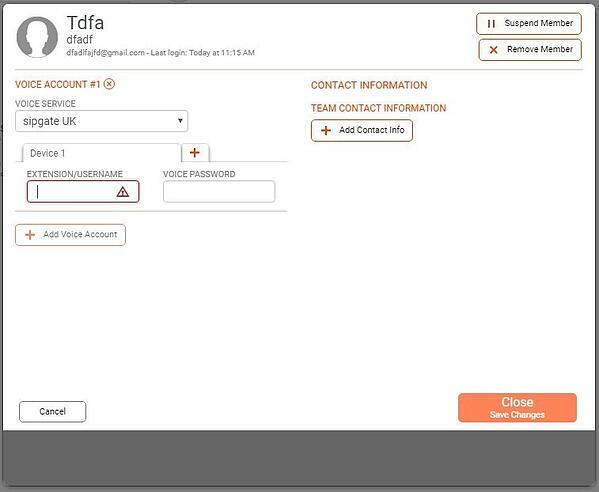 You will need an administrator account to access Bria Team’s portal. Navigate to the “Voice” tab, select the "Add Voice" button and select sipgate UK as your voice provider. Unless there are customized settings you would want, the settings are ready to be saved immediately. Click on the “User” tab and select the "Add User" button. 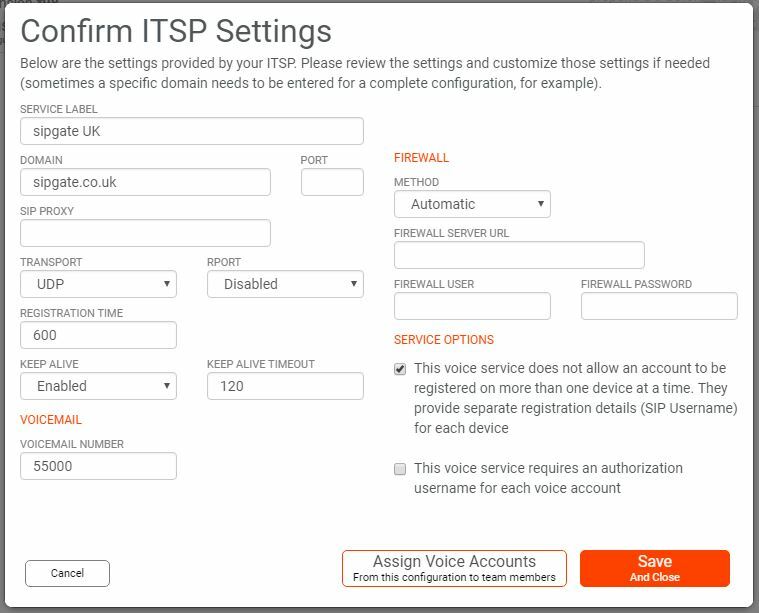 Here, you will need to create users identified by emails and assign them the SIP information. 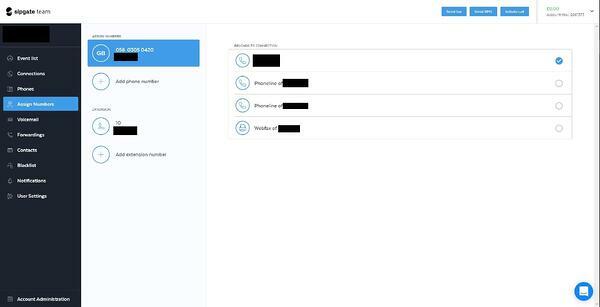 In the sipgate portal, click the “Phones” tab and for each user (device) click and scroll to see “SIP Details”. Copy and paste SIP-ID and SIP Password into the “Extension/Username” and “Voice Password” fields. If you expect each user to have more than one number, click on the “+”.